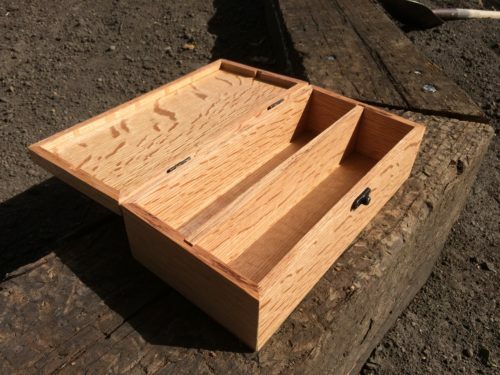 In the comments of my last box-building post, Cain posted a link to a video tutorial for making a mitered box. I still needed storage for more 35mm slides, so I followed the tutorial to make a 35mm slide case out of quartersawn red oak. These are the sides of the box, plus a removable center divider, before being planed down to about 9mm and cut to their exact lengths. 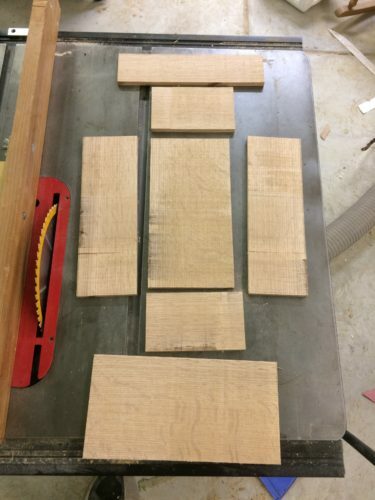 They were all resawn from some 3/4″ red oak, the last board left over from my kitchen table project. I mitered the corners of each side and then added a dado down the centers of the short sides to accept the divider. 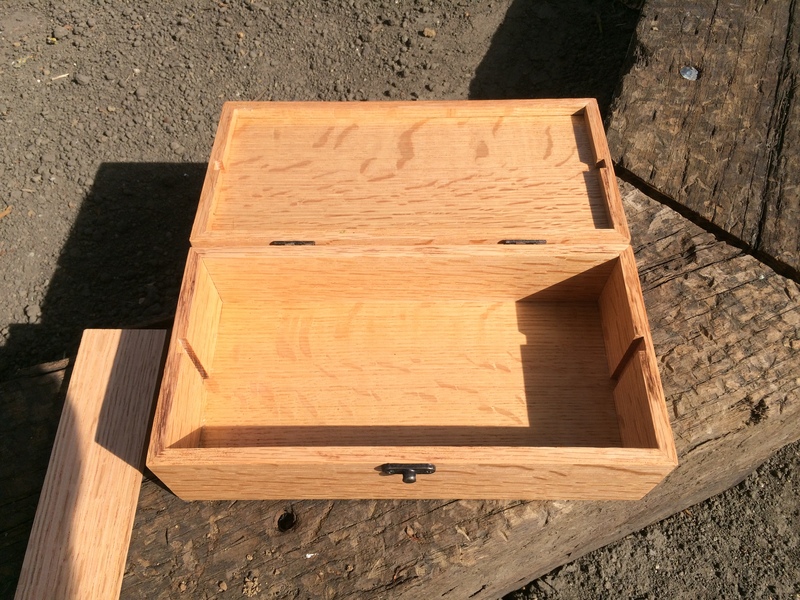 Unlike the last box, this divider will be removable so that the box could be used for other purposes. 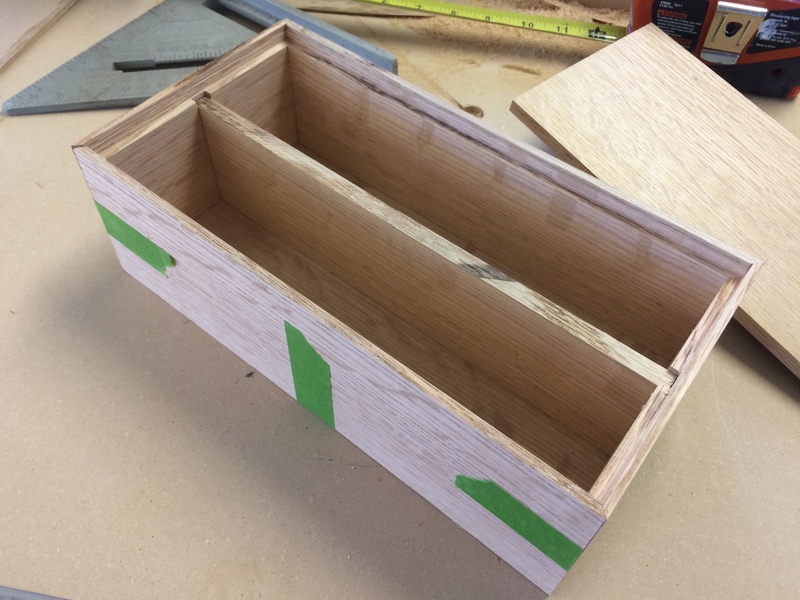 After cutting rabbets along the edges of the sides, I dry-fit the pieces together, using tape as makeshift clamps. 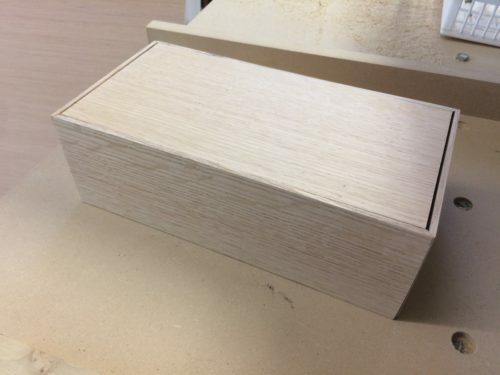 This is the reverse view of the previous picture, showing the bottom of the box. 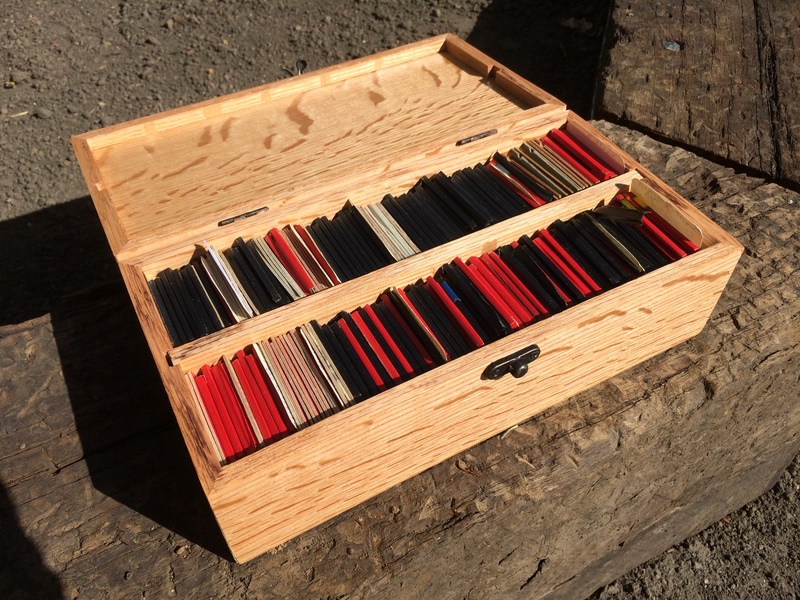 And this is what the box looked like pre-glue-up without the tape holding the sides up. Here’s where I messed up. 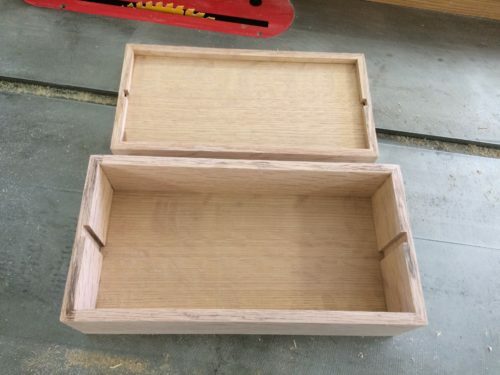 I should have glued both the top and bottom of the box on at the same time, but I thought I’d glue in the top after the bottom had dried. Unfortunately, the sides shifted while I was clamping, so I had gaps at the ends of the top and bottom. I ended up filling the gaps with putty, which we’ll just call a polymer inlay. The lid was formed by cutting the top of the box off after the glue dried. This was trickier than I expected, and I didn’t get the perfect cut line I had hoped for. For a finish, I applied two coats of semi-gloss polyurethane. 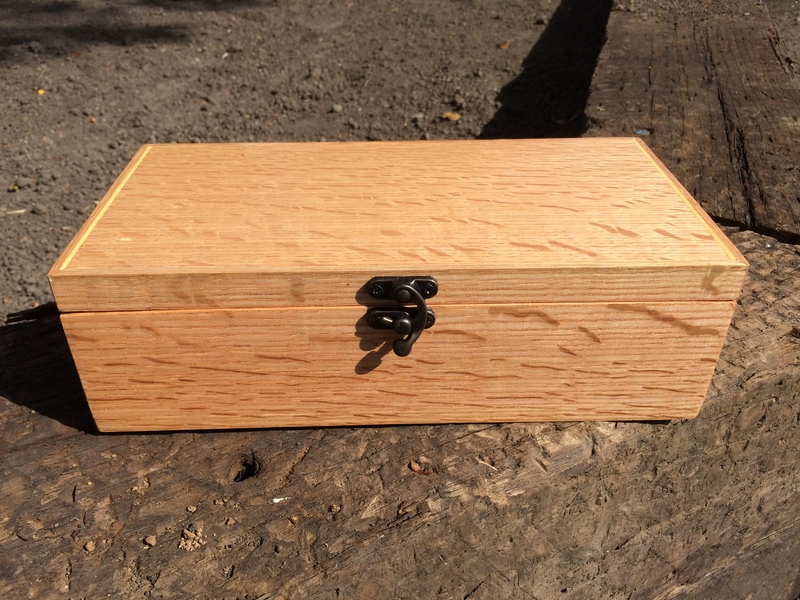 The wood has some nice figuring that really shines in the sun (pun definitely intended). Awesome job! 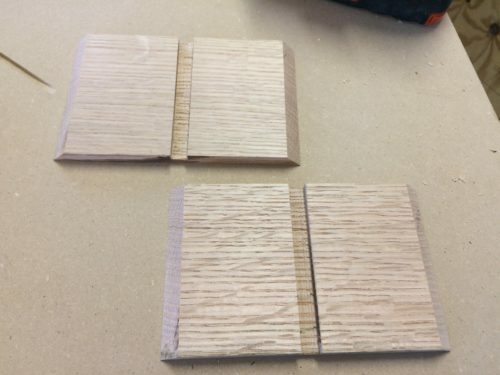 The flakey white oak looks great. 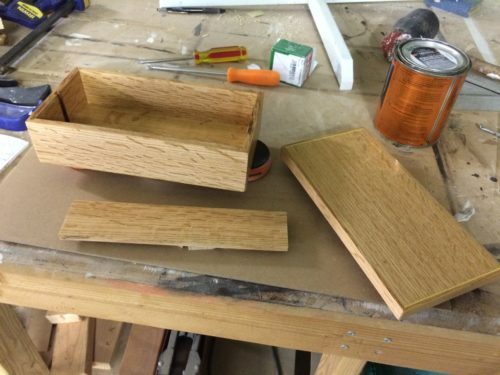 > The lid was formed by cutting the top of the box off after the glue dried. 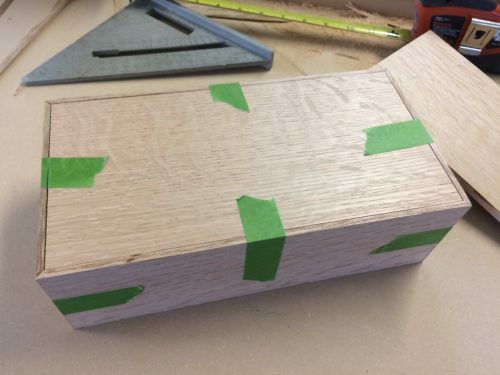 This was trickier than I expected, and I didn’t get the perfect cut line I had hoped for. I think I remember from the video that he sets his table saw just slightly lower than the thickness of the wood, leaving some wood connected to prevent rattle, and then cuts it free with a hand tool. Did you try that method? Definitely seems like it’d be a tough cut to make. Regardless, it looks great and the turnaround was impressive. Nice work. Thanks! The trick of leaving the saw blade just a hair low worked well, but I had an alignment issue where the short ends of the box got cut a little lower than the long ends. I think my fence was square the blade, but not square to the table, so when the box was cut while standing on end, it was leaning to the side a little bit. 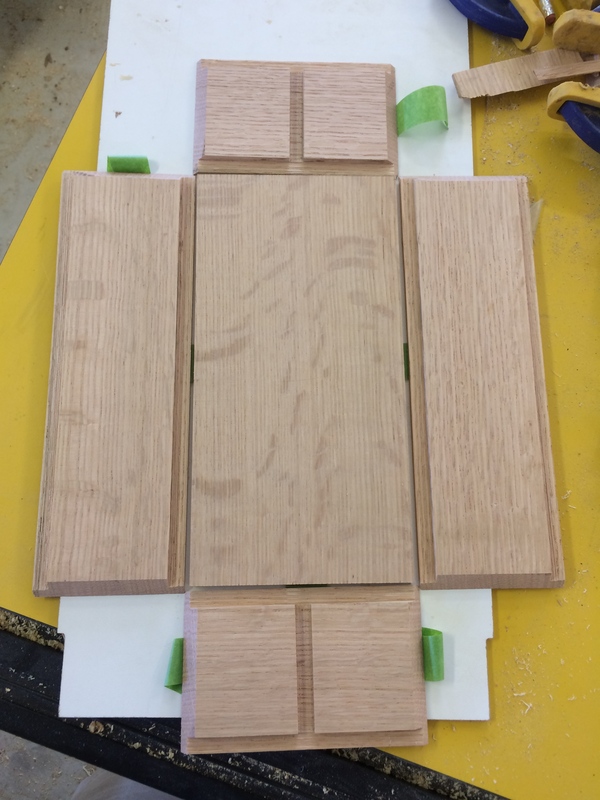 Polymer inlay – the plastic wood of Champions!